Gaslight: Happy birthday, 45 rpm! for most music. 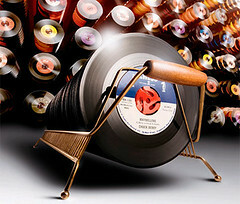 Still, it never disappeared entirely–by one count, fewer than 2,000 new 45 rpm records have been produced in 2011. ← Visit The LAMP at the LinkEducation K-12 Expo!